Susan Schrivjer has launched an online petition to get Toys R Us to remove Breaking Bad action figures from its shelves. In less than a week, Susan Schrivjer’s petition had garnered over a thousand signatures. Breaking Bad is about a chemistry teacher who starts cooking crystal meth, the toy line features likenesses of characters Walter White and Jesse Pinkman. 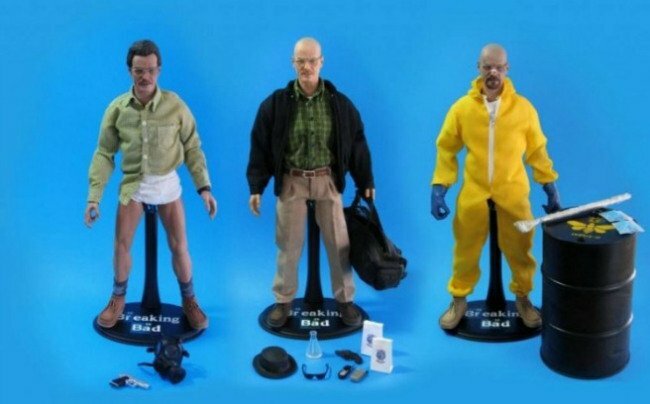 The Walter White figurine is holding a tray of crystal meth. The Florida mom, who admitted to being a fan of the show, told Today that she was “appalled” that the items are being sold in a toy store, adding that Toys R Us’ “visions and values” need to be reevaluated. “Anything to do with drugs is not doing the right thing,” Susan Schrivjer said. A Toys R Us representative said in a statement that the toys are labeled as suitable for children ages 15 and over, with the toys located in the section for adult action figures.